Your central processing unit (CPU) is the brain of your gaming rig. In fact, it processes all the information that your computer touches. Much like our own brains, the CPU sends electrical signals to other parts of the computer to communicate. While the GPU determines more of what you are capable of doing without a good CPU, it will be bottlenecked resulting in lower framerates and in some cases, severe stutters. While this might sound cataclysmic, picking a good processor– especially a budget CPU– doesn’t have to be that hard. If you’re able to buy a cheap CPU with a stellar price to performance ratio, you’re in business! In this guide, we’re going to be talking about the best budget gaming CPUs on the market. And at the end we will give you the tools you need to make the right choice for your next gaming setup! Intel vs. AMD: Which is Best For You? Arguably one of the best performing CPUs in this roundup, the Intel Core i3-8100 is a truly stupendous budget gaming CPU. It outperforms the Ryzen 3 1300X in both multi-threaded and single-threaded performance, despite both chips having four physical cores and four threads. That makes this CPU the best budget gaming CPU on the market. This CPU will couple well with a GTX 1050 Ti, and it could even be paired with a top-tier GTX 1060 without any issues. It’s great for gaming in addition to some other workstation tasks, such as video editing and multitasking. For the price, it’s a wonderful all-around processor. Unfortunately, nothing is perfect, and this CPU is no exception. It doesn’t ship with a stock cooler from the factory, meaning you’ll have to invest a bit more in an aftermarket CPU cooler. This will probably run you around $20 if you choose a standard aftermarket cooler, like the Hyper 212 EVO. That price difference, makes the choice between Ryzen 3 1300X – which includes a great CPU cooler– a bit more difficult. Much like the Intel Core i3-8100, the Ryzen 3 1300X has four physical cores and four threads. It employs AMD’s 14nm Zen architecture. Sporting a 3.5 GHz base clock and a boost clock of 3.7 GHz, this chip is great for gaming. Unlike the i3-8100, this cheap AMD processor actually includes a stock cooler in the box, and it’s pretty darn good too. This will save you around $20, which is money that can be allocated elsewhere in the build. Keep in mind that this CPU does not have integrated graphics, a feature that can only be found with second-generation Ryzen chips. This shouldn’t be a red flag, though, because a gaming PC should have a dedicated video card anyway. 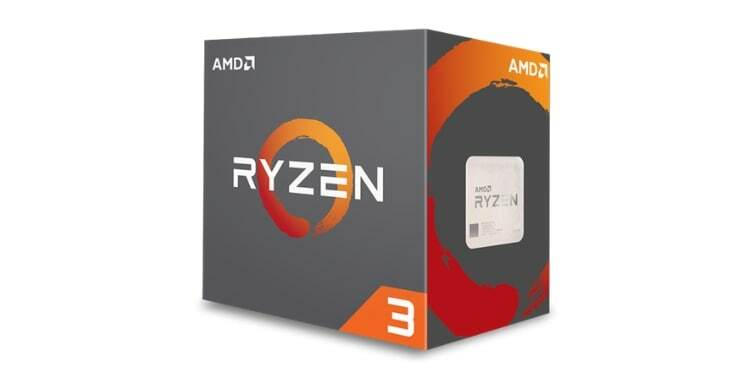 Cost wise, Ryzen 3 CPUs are better than Intel Core i3 CPUs, especially when you factor in the additional $20 for an i3-8100 cooler, and the higher motherboard prices for LGA 1151 chips as well. 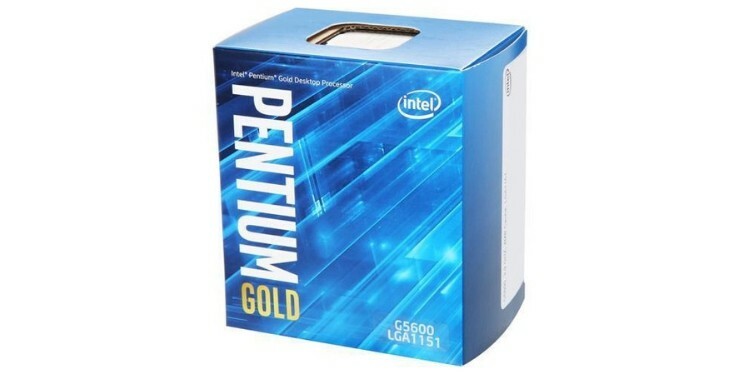 The Intel Pentium Gold G5600 is a great budget gaming CPU. It’s based on Intel’s Coffee Lake architecture, and it’s designed for use with the Intel 300-series motherboard chipset platform. 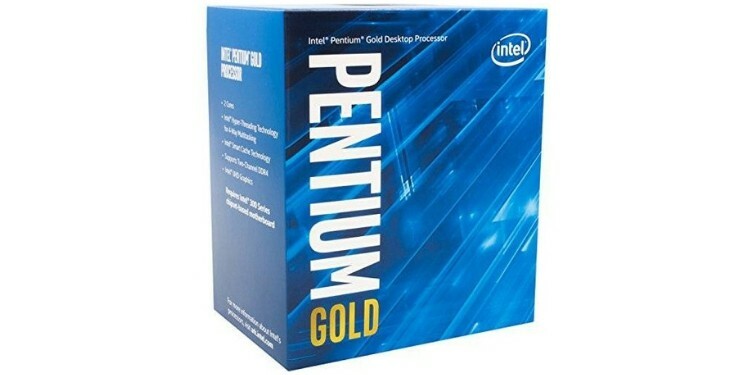 The Pentium G5600 has been met with competition recently from AMD’s Ryzen 3 2200G, as it beats the G5600 in multi-threaded performance tests, and it has a superior integrated graphics solution onboard. In fact, the G5600 is actually a bit faster than the Ryzen 3 2200G in gaming related tasks. Nevertheless, the G5600 has good gaming performance considering it is one of the most affordable entry options on the market. Although it only has two physical cores, this chip’s hyperthreading technology allows it to– for all intents and purposes– have four virtual cores. This is sufficient for gaming by today’s standards. 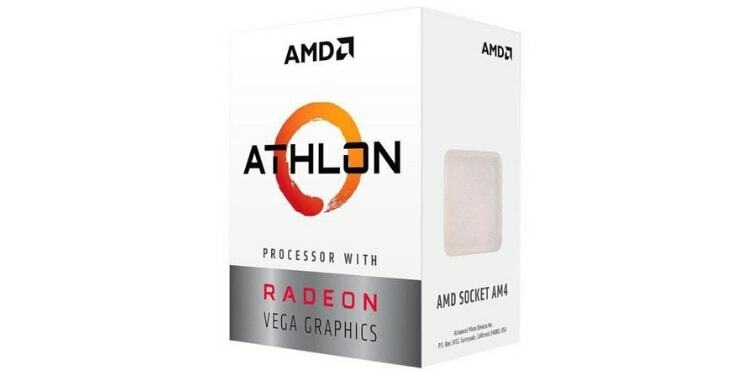 The AMD Athlon 240GE is the company's flagship budget gaming CPU. Its integrated Radeon Vega 3 graphics mean you can play low-demand games in 720p without a dedicated GPU. While this isn’t ideal, it does allow you to save up for an actual GPU while still being able to use your PC in the meantime. You’ll have to be okay with playing at lower resolutions and graphical settings, but that’s to be expected on a budget like this anyway. Although the chip doesn’t technically support overclocking, it can be done after following a quick tutorial online. Once overclocked, the chip’s performance rivals that of higher-tier CPUs. Even without overclocking, this CPU is among the best in its price range. 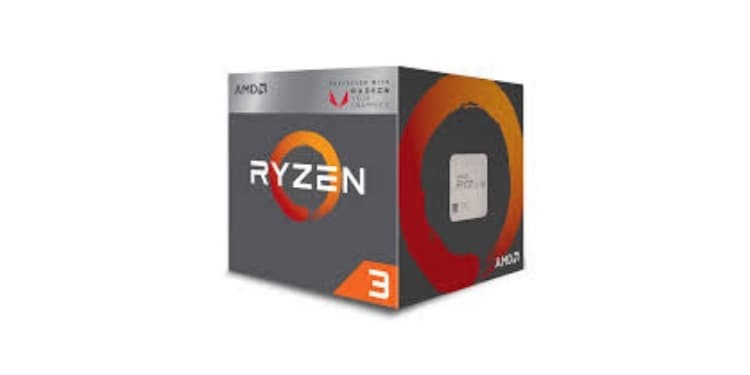 The AMD Ryzen 3 2200G is a second generation Ryzen processor, meaning it features an Accelerated Processing Unit (APU). In layman's terms, that means this CPU has onboard (integrated) graphics. Its integrated Vega 8 graphics are actually more than twice as powerful as the Vega 3 graphics seen on the Athlon CPUs. If you’re going to be using this iGPU for a little while, then this is the best value CPU. The CPU has four physical cores and four physical threads, in addition to incredible overclocking potential. It has a max boost frequency of 3.7 GHz. Similarly to other CPUs in the Ryzen family, the 2200G ships with an AMD Wraith Stealth cooler, that provides adequate cooling at stock frequencies. It can even be used for light overclocking, though you’ll have to upgrade to an aftermarket cooler for any serious overclocking. This chip goes for less than $60, making it one of the most affordable Zen-based Athlon CPUs on the market. Its incredibly low price makes it a great bang for your buck CPU. While it only has two physical cores, it does utilize hyper threading so you get four virtual cores. Moreover, it’s also sporting AMD Vega 3 integrated graphics. Lightly threaded performance is sub-par, but for such a low price, performance gaps like this are to be expected. Though not officially supported by AMD, this chip can be overclocked if you employ the use of the proper motherboard. All of this being said, the Ryzen 3 2200G usually sales for right around $100-- give or take-- while it only represents a 43% boost in power that’s a big deal in this area. Such a big deal that, in the Speed Rank, the Athlon 200GE is currently 309th while the 2200G is 96th. If you consider the difference in their integrated GPUs as well, you get a pretty clear picture about which is the better bang for your buck. When it comes to budget gaming CPUs, the Intel Pentium G4560 is a strong contender. This chip features Intel’s Kaby Lake architecture. This CPU came out around the same time as Intel’s Ryzen 3 line, which boasted four physical cores for the same price as Intel’s Pentium CPUs, which only had two physical cores. As a consequence, Intel decided to add hyperthreading to their Pentium line, which is why this chip has two physical cores, yet four theoretical cores. Either way, the Pentium G4560 can hold its own in most tasks, gaming included. It’s also a great workstation PC, thanks to its four theoretical cores. Keep in mind, however, that the Ryzen 3 1200 costs a mere $15 more, yet it performs much better (it has four true cores). 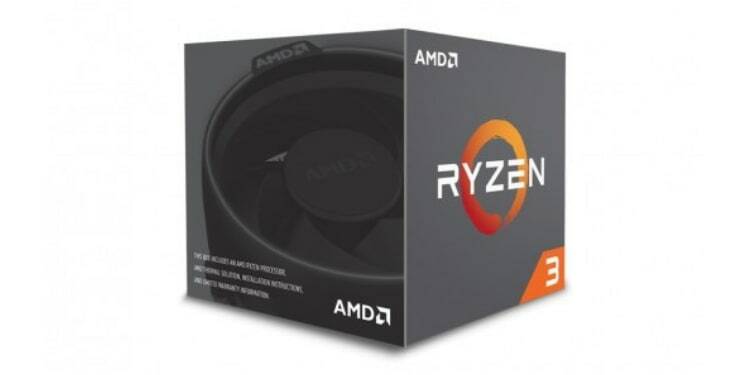 Despite providing 90% of the Ryzen 3 1300X’s performance, the Ryzen 3 1200 is $30 cheaper than its big brother. In fact, when overclocked the Ryzen 3 1200’s performance is nearly the same as the 1300X’s performance. I have a Ryzen 3 1200 in my rig, paired with a GTX 1060 3GB. I have my CPU overclocked to 3.9GHz and it is an absolute powerhouse-- well, not a powerhouse really, but it is certainly very capable-- especially considering its low cost. Oh, and did I mention that I’m using the stock cooler? When building a gaming PC on a budget, it’s imperative that you select the right CPU for your build. Although the processor is the brain of your PC, responsible for computing just about everything, it is not the primary component that drives your performance in gaming related tasks. In fact, your PC’s GPU (Graphical Processing Unit) is going to be doing the heavy lifting. Rather than using all of your CPU’s processing power, games rely heavily on the GPU, as it is designed to handle 3D rendering. If your CPU isn’t fast enough to keep up with your GPU, you’re going to suffer a CPU bottleneck. This occurs when the GPU is processing information at a much faster rate than your CPU. So, how do you go about choosing the best CPU for gaming when you’re on a budget? Buying the best budget gaming CPU isn’t necessarily about picking the best performing CPU– rather, it’s all about finding the best price to performance CPU. Bottlenecks can occur for different reasons. If you have an NVIDIA Titan GPU paired with an Intel Pentium G4560, the Titan is obviously going to be limited by the weak processing power of the Pentium CPU. On the other hand, an Intel Core i7-8700K is going to be bottlenecked by a GTX 1050 Ti, at least while gaming. The secret to picking the best gaming CPU on a budget is to buy the best GPU that you can afford, while still being able to include a CPU that won’t bottleneck the GPU. A few years ago, most in the PC gaming community would have probably agreed that Intel CPUs were the best for gaming. At the time, AMD only offered outdated and slow 32nm CPUs. That is, until the age of Ryzen CPUs began in the summer of 2017, which instantly made AMD CPUs a viable option for both gaming and workstation-related tasks. This quickly lit a fire under Intel that has seen rapid growth to both company’s respective CPU architecture over the last couple of years. When deciding between the two companies, the choice comes down to several important factors. In most cases, Intel CPUs have better single-core performance, whereas Ryzen CPUs provide superior multi-core performance. It’s important to note that single-core performance tends to be more important for gaming, whereas multi-core performance tends to have a more significant impact on workstation tasks. Nevertheless, the performance difference is usually marginal. AMD Ryzen CPUs really shine through in terms of overclocking potential. Even the cheapest Ryzen CPUs ship factory unlocked, and their overclocking performance is outstanding. Even Ryzen stock coolers are good enough for light overclocking. For example, I managed to overclock my Ryzen 3 1200 to a stable 3.9GHz with the stock cooler. Intel CPUs often have cheaper, locked models and more expensive, unlocked models (notably, none of the Intel CPUs on our list are actually designed to be overclocked). Even the unlocked Intel CPUs don’t always see the same performance boosts that Ryzen CPUs can offer. Moreover, most Intel CPUs don’t have stock coolers and the ones that do are rarely up to par with the stock coolers packaged with Ryzen CPUs. Don’t worry, overclocking is actually pretty easy, and there are a plethora of easy-to-follow overclocking tutorials online. This isn’t really important or even noteworthy for more expensive CPUs, but when it comes to budget CPUs it can be the difference between gaming while saving up for a better GPU and merely using your computer for browsing. The second generation Ryzen line CPUs have integrated Vega graphics onboard, which blow Intel’s integrated graphics out of the water. You’ll be able to game comfortably in 720p, playing older games and well-optimized games that don’t demand too much processing power. Counter-Strike: Global Offensive, League of Legends, DOTA 2, and Minecraft are all good examples. Integrated graphics should only be used on an extreme budget– if you do choose to stick with integrated graphics as opposed to buying an additional dedicated graphics card, don’t expect to play any demanding games. You’ll need a dedicated GPU to handle most AAA titles. 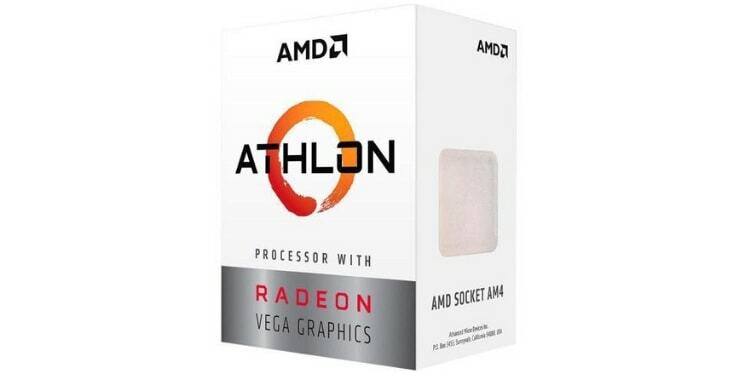 In terms of pricing, AMD CPUs often tend to be cheaper than their Team Blue counterparts. If you’re on a budget, AMD CPUs usually offer the best price to performance options, which are great when you’re building a cheap gaming PC. This is compounded by things we have mentioned above: unlocked overclocking, superior stock coolers, and better integrated graphics. If you don’t plan on overclocking, Intel CPUs will be more powerful than comparable AMD CPUs… as a rule of thumb. Even then, AMD CPUs often represent a better value. If you do plan on overclocking, then the scale significantly tips in favor of AMD.